Evesham is a blooming market town on the River Avon that is known as ‘the fruit and vegetable basket of England’ due to its abundance of fragrant and plentiful homegrown produce. 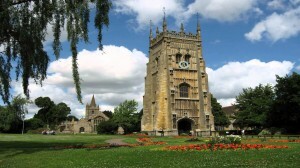 It is particularly known for its asparagus and its colourful collection of plum and apple trees. 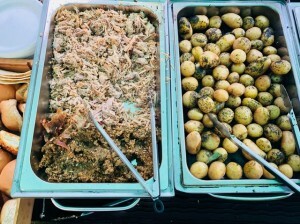 Here at Hog Roast Evesham, we feel very lucky to provide catering service in this fresh and fertile area of the Midlands, because we are incredibly discerning about the ingredients we use, and Evesham has such a rich selection of great produce to choose from. It is this commitment to quality and freshness that sets us apart from other catering companies in the area. From our ethically-reared meat to our organic, homegrown fruit and vegetables, all of our ingredients are carefully selected and always of a premium standard. 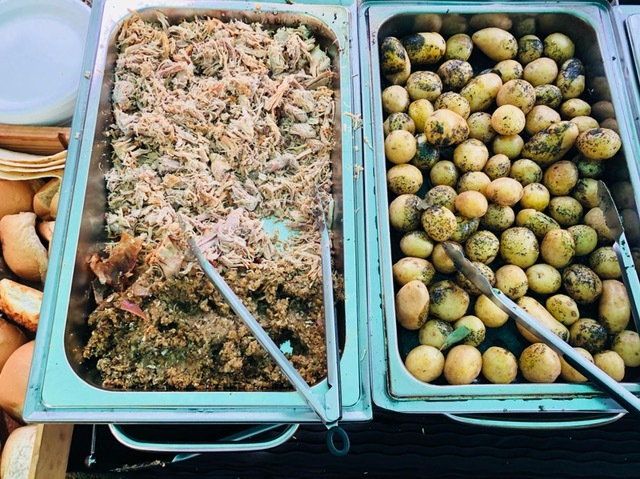 Great menus start with great ingredients of course, and here at Hog Roast Evesham, we have a very creative catering team who devise inventive menus that make the most of our high quality seasonal ingredients. We can provide an exciting array of menus that differ in style and content, depending on your requirements. We have fantastic options for any occasion, from birthday parties to wedding receptions, and we aim to accommodate all diets and tastes in everything we offer, including a selection of different meats and vegetarian dishes, as well as vegan and gluten-free alternatives. We stop at nothing to ensure our menus appeal to everyone and whatever you choose for your special occasion, we will freshly prepare all the elements of your dishes on-site with finesse and precision. For formal occasions we can even provide our own individually handmade canapes presented to your guests upon arrival by our own dedicated front of house team and our waiting staff can be on hand to take care of all the needs of your guests throughout the meal. With our fantastic fresh ingredients, creative menus and polished, professional service, the Hog Roast Evesham team are the ideal catering option for any event in the area. If you want a meal presented to you with quality and care, in any location in Evesham, do not hesitate to get in touch with a member of our friendly and knowledgeable team.